Designed for West Michigan sculptor Eddie Parach, this studio is designed to be cost effective, warm, and contain lots of natural light. The location is close to his Main Residence and designed the structure using simple, off the shelf materials and used those sparingly. Studs were spaced at 24” on center, as were the premanufactured trusses. 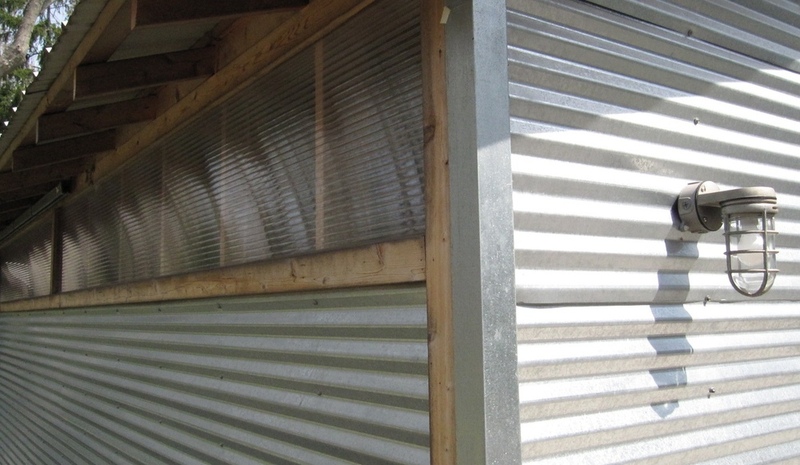 The corrugated steel siding and interior plywood walls provided enough lateral stability to avoid exterior sheathing. Spray-applied foam insulation was applied directly between the studs and against the metal siding. The insulated concrete slab has hydronic heating and is set at the lowest possible temperature allowing comfort under foot while working in Michigan’s 10-20 degree cold winters.